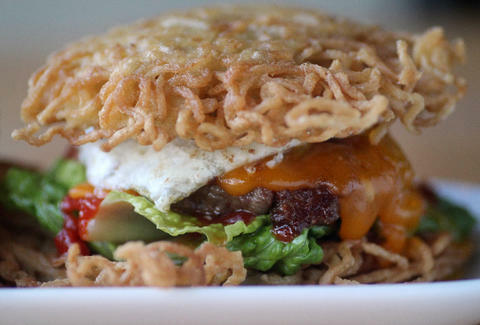 Meet the ramen burger. 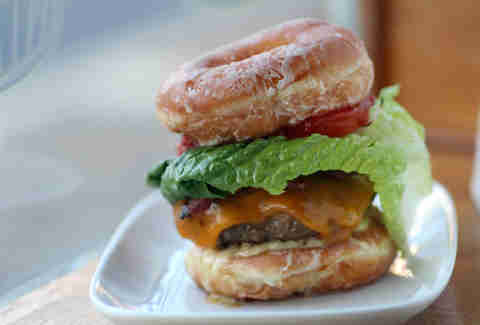 And the secret donut burger. The sustaining mana that kept you from starving in your freshman dorm is back in burger form. Modeled after the original ramen burger in NYC, the innovative patty-smiths (as in burger-makers, not as in "Because the Night") at Buzz Bar start with two patties of buttered house-made ramen and throw them on the flat-top before adding in kobe beef, cheddar, fried egg, sun-dried tomatoes, arugula, and Sriracha sauce. 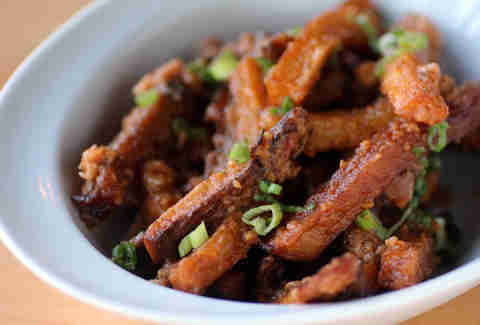 The 50-seat burger joint accompanies its creations with a rock playlist that’s lighter only when compared to other Chi burger joints. 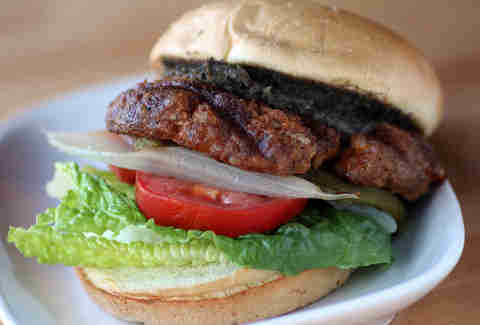 Their off-beat burger selection includes The Alamo (ground pork, chorizo, black bean puree, guacamole, jalapeno aioli, pico de gallo), possibly because enough of them will make you resemble a mid-size sedan, causing people to try to rent you at airports. 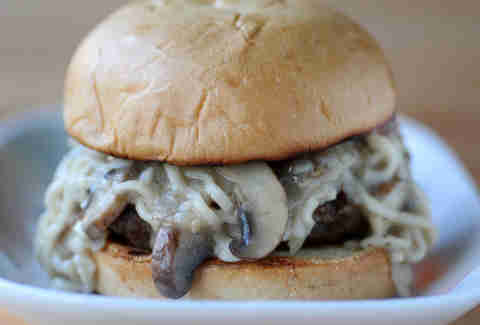 Lest you think they'd limit themselves to one noodle-centric burger, this Stroganoff has braised beef short ribs, Sauvignon Blanc, crimini mushroom gravy, and egg noodles on a potato bun. 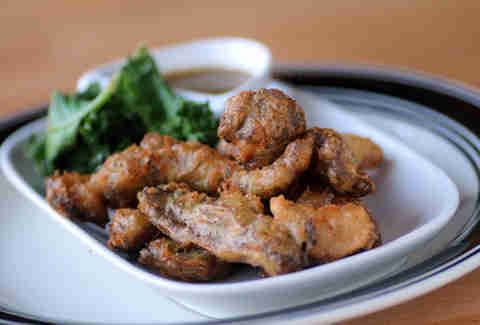 Smaller yet still meaty options include plates with pig ears slow-cooked and then crisped up with truffle oil, beer, and basil, and served with also-crisped kale. Curl your mustache and give that LCD Soundsystem record one last spin as you dive into hipster poutine (smoked bacon, Tasso ham, cheddar, pepper jack, Provolone, and scallions). If there’s one thing Buzz doesn’t have, it’s a secret menu (giant, slow wink) with a double-decker burger or a four-cheese stuffed burger. That’s right -- so don’t even ask for this secret donut burger (repeated winks) that plants Wisconsin cheddar, pepper jack, house truffle aioli, caramelized strawberries, and smoked bacon between glazed donut buns. Because (final, emphatic wink) it doesn't exist.